Not a very flattering article, dealing as it does with theft and a criminal, but it's clear this guy was attempting to use some kind of magic against his enemies. Whatever it was, it didn't work out so well. Ruben Hernandez allegedly used voodoo-like dolls targeting the prosecutor and investigators in the case. "shrine with a cross and all kinds of skeletons"
Special guest appearance by Judge Lance Ito! "No charges were filed in the case, which is the latest in a string of Santeria-related incidents in Miami. In November, two North Miami Beach Police employees were fired over an alleged plot to curse the city manager with birdseed, a current infestation of more than 33,000 Giant African Land Snails is suspected to have begun with snails brought into the country for Santeria purposes, and cemetery employees blame the February desecration of infant graves entirely on the religion, which boasts West African and Caribbean origins but bears heavy Roman Catholic influence. This web page hosts contains a lengthy 3-part article on Santa Muerte by Dr. Robert Bunker, written for the FBI Bulletin. There is also an interview with Tony Kail, an author on obscure religions and the law. Kail said: "Santa Muerte does seem to be very popular among the narcos. However, the majority of her followers are law abiding citizens who go to her for matters relating to love, social oppression and healing. [...] The narcos ]take] pieces from African traditional religions and Latin American folk religions. I have seen evidence of these organizations using Cuban Santeria also known as Regla de Ocha, Palo Mayombe aka Las Reglas de Congo, Puerto Rican Espiritismo, Mexican Curanderismo as well as others. They will take artifacts and rituals and use them for selfish purposes. I believe they practice 'cultural misappropriation' and take a traditional culture like Santeria that is practiced worldwide without any connection to drugs and misuse the sacred rituals of this religious faith." "The cult appears to have more European than Aztecan origins, with some individuals describing Santa Muerte as a new age Grim Reaper-type goddess, a bad-girl counterpart to the Virgin of Guadalupe.5 (5 E. Bryant Holman, The Santisima Muerte: A Mexican Folk Saint (Edward Holman: 2007).Her imagery includes that of a robed skeleton carrying a scythe and globe or scales. Part of her popularity results from her characterization as nonjudgmental (amoral) and a source of supernatural intervention for her followers who engage in the correct rituals and provide the proper offerings and sacrifices. "Over half of the prayers directed at her include petitions to harm other people via curses and death magic.6 (6 Alfredo Ortega-Trillo, “The Cult of Santa Muerte in Tijuana,” San Diego News Notes, June 2006. )Still, many Santa Muerte followers appear benign—typically poor, uneducated, and superstitious individuals who practice a form of unsanctioned saint worship mixed with varying elements of folk Catholicism. "... It is believed that Flores and Lopez [two of the people arrested] relied upon an unnamed Voodoo priest to help with “predictions” surrounding how the organization should conduct itself"
"Investigators also learned Lopez and Flores consulted a Voodoo priest who would provide predictions, prophecies and readings regarding the organization’s decisions and welfare. " Francisco Javier Maya, 35, has been ordered to prison following his convictions of conspiracy to possess and possession with intent to distribute approximately 1,000 pounds of marijuana, announced U.S. Attorney Kenneth Magidson. A jury convicted Maya Jan. 30, 2014, after two days of trial testimony and approximately six hours of deliberations. Evidence showed Maya was a follower of the Santeria religion. The jury saw photos of Maya’s residence in Mission, which depicted numerous images of what was considered to be altars showing glasses of alcohol, knives, a machete, kettles, feathers and substances that appeared to be blood. Testimony also included descriptions of two rituals involving the sacrifice of animals. In December 2012, Maya had a Santeria priest, known as a “Padrino,” perform rituals with the organization to “bless” a 1,000 pound marijuana load that was destined for Houston. After meeting with the Padrino, Maya, Gonzalez-Cavazos and Juarez decided the marijuana load should remain in the Rio Grande Valley. The next day, a second ritual, attended by all five defendants, was performed and the 1,000 pounds of marijuana was to be transported to Houston. However, the marijuana was stolen from the group by unknown individuals that evening. After the theft and a subsequent improvised explosive device detonated at Juarez’s residence in Brownsville, law enforcement was able to piece together the events and conspirators involved in this drug trafficking organization. This article is about a Santero or Palero priest (hard to tell which) in Connecticut who has apparently been breaking into a mausoleum in Massachusetts to rob it of bones and then selling them. Word on the street is that drug dealing may also be involved. Amador Medina, 32, of Hartford, Connecticut, stole the remains of three adults and two young children from Hope Cemetery in Worcester, Massachusetts. 'The Cultural Association of African Religions Babalú Aye says that "his membership has been cancelled for violating several points of the terms and conditions agreement that he signed to conserve his affiliation," They say also that followers of Santeria do not recognize the use of human bones in their religious practice. 'The directors of this association claim that they have no ties to Medina, though they aknowledge that he "achieved initiation" and that the group, until now, recognized him as a priest. 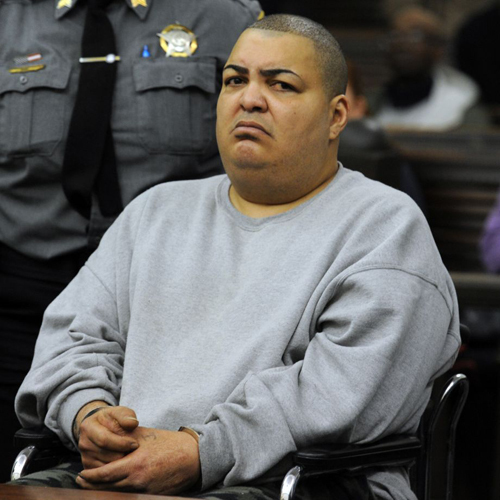 Felix "Cuba" Delgado is the second Santeria priest in Connecticut accused of stealing human remains in Massachusetts. Now, truth to tell, this man, Felix "Cuba" Delgado, was talking up a very loud storm on Facebook last year. He was posting charges of impropriety about my friend Candelo Kimbisa of AIRR, and he made videos in which he threatened to kill Candelo or get him in jail. Candelo is a POWERFUL justice worker. Look who is in jail now. I have Candelo's permission to post these links (the story is everywhere on Facebook anyway), and i hope that anyone who thinks that this stuff is a joke stops and thinks twice. Yes, Paleros do work with human bones. No, they do not all deal heroin and break up mausoleums.